Saville Mint in Spain, (assayer P). 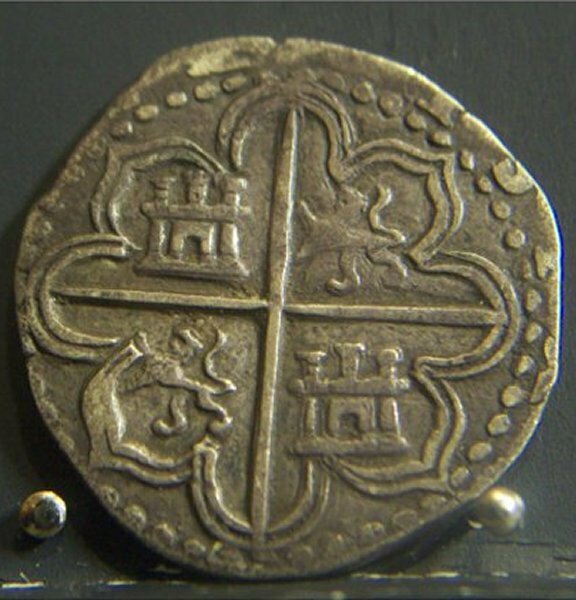 Cob coins were minted at many Spanish Main Land and Spanish colonial New World mints. little silver from each coin then put it back into circulation. They would then melt the collected bits of silver and reuse or sell it. 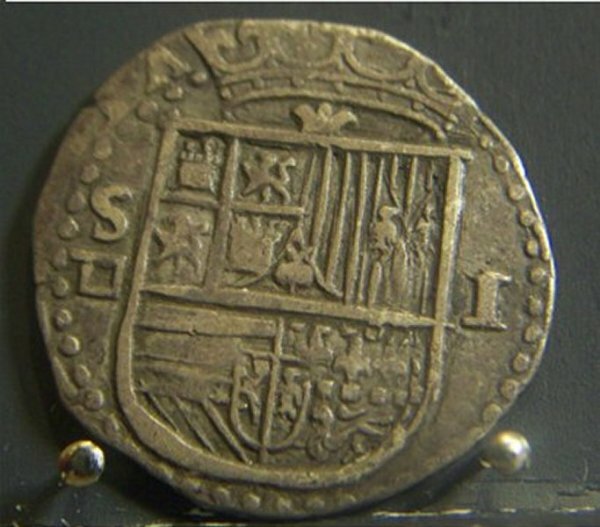 This coin features the Hapsburg shield of the Atocha time period. It was known in Mexico as Maquina de papalote y cruz (windmill and cross money). 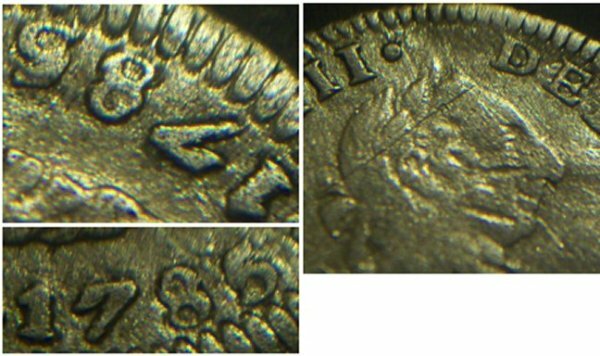 Colonial Spain 1785 half real silver coin Mexico KM 69.2a. Item# 98682. 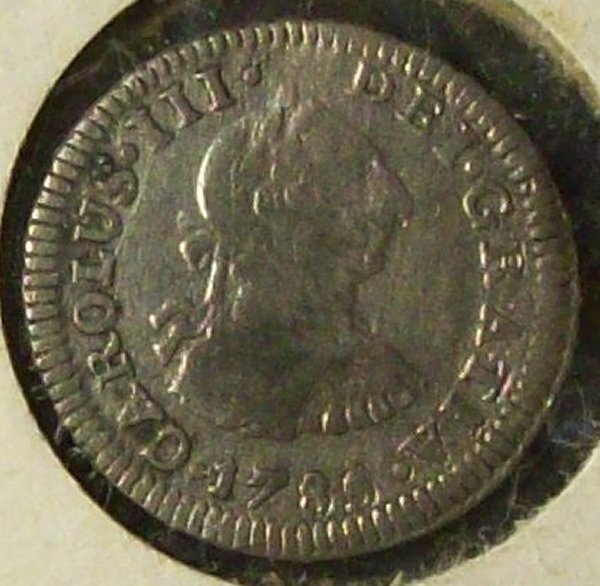 Colonial Spain coin minted in Mexico 1785. Pictured is King Carlos III of Spain (1760-88). Also used as the U.S. half dime. The F and M are the Mexico City mint's assayers' initials (Antonio Forcada y Plaza). The Mexico City mintmark is an M with a small o over it. The Latin countries called him Carolus. 17 mm in diameter in silver.